Kaweco Supra Fountain Pen Review – Pens! Paper! Pencils! In an interview with Bob of My Pen Needs Ink, Sebastian Gutberlet (of Kaweco) said of that Supra: “Nobody did this before or we could not find a pen with a part to unscrew and make it shorter.” As far as I can tell, he’s right. Others might have thought of doing it, of course. They might have thought about doing it and soon after thought nah, what’s the point? 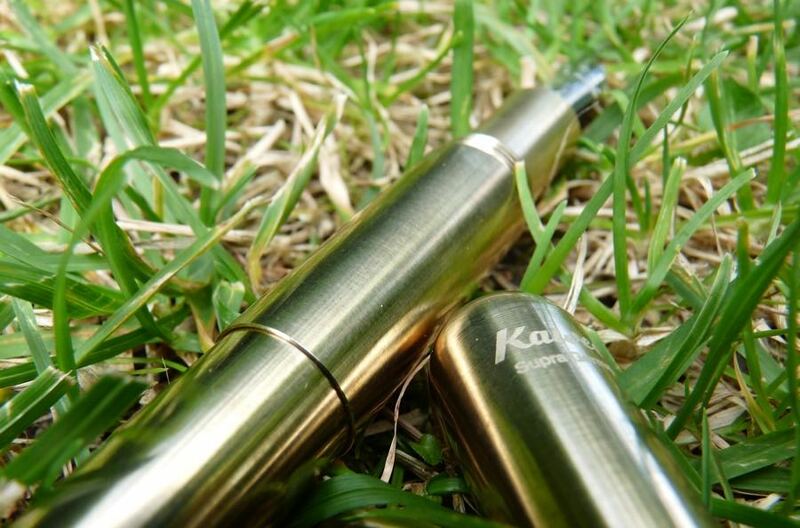 But Kaweco have gone and done it. They’ve made a pen with a part to unscrew and make it shorter. Good idea or bad? Let’s see. 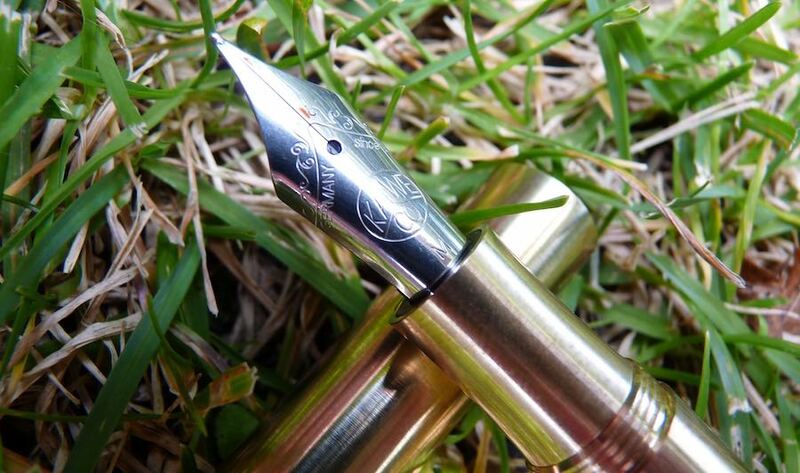 The Supra uses a #6 stainless steel nib, larger than the #5 nibs Kaweco use in all their other pens except the Elite. The larger nib, made for Kaweco by Bock, looks great in this pen. The medium in my pen wrote on the dry side, which isn’t my preference but does mean you’ll have more joy from the pen on cheaper paper. It very occasionally skipped. The long cap screws closed and screws on to post. It takes around four turns to do either. 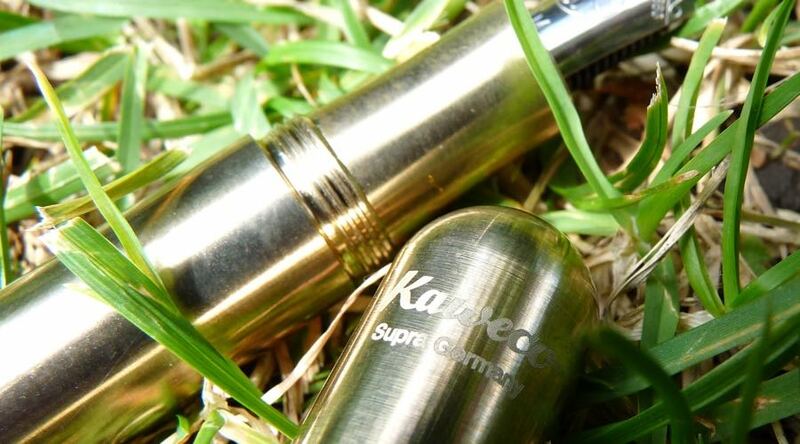 “Kaweco Supra Germany” is written at the top of the cap. 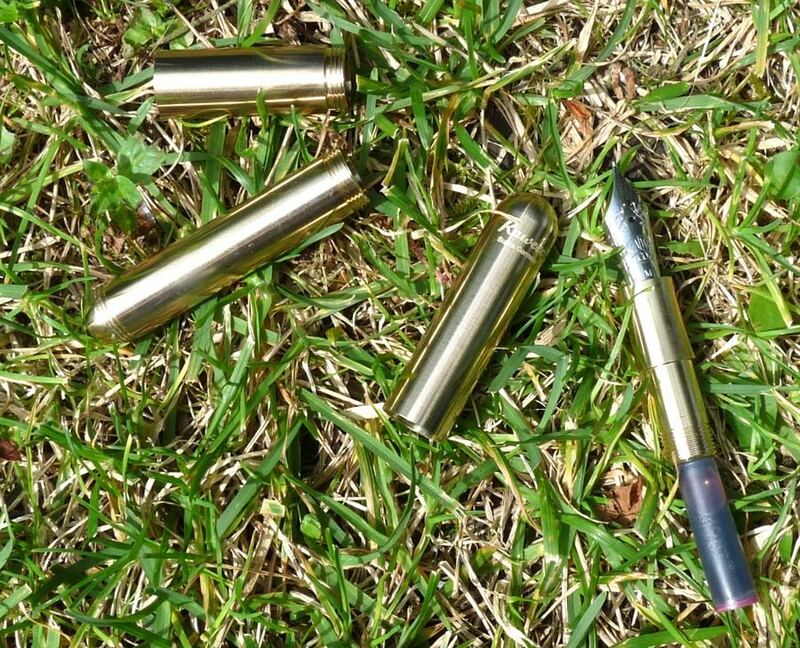 The pen’s made entirely from brass, including the section, which is long enough to be comfortable in the hand – the threads are just about out of the way of your fingers. With the extension piece in place you have a pen whose looks are spoiled by that very piece. It would be a better pen if the body was one piece instead of two. 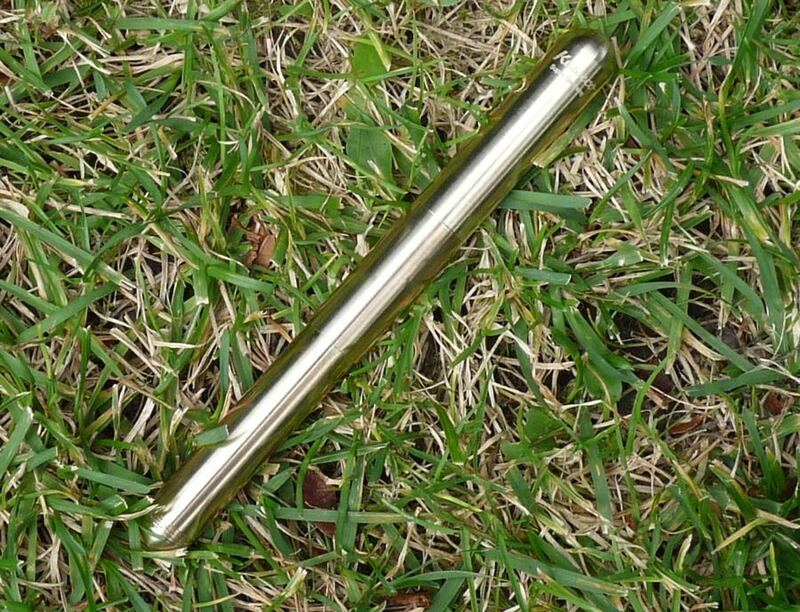 Then you’d have a lovely brass pen with a big nib: not a pocket pen (too big and heavy) but a good looking pen for your pen case or desk. Without the extension piece the pen is short and plump and really quite cute. It’s a little too short to use unposted but posted it’s great. Obviously in this configuration it’s too short to hold a converter. Without the extension piece you have a fun looking pen with a big nib that could work as a pocket pen. The [Sport][sport] still beats it for convenience because the Sport’s cap can be posted more quickly (it just pushes on to post) and the Liliput beats it for pocketability because it’s so much smaller and lighter. But it is another option as a pocket pen. 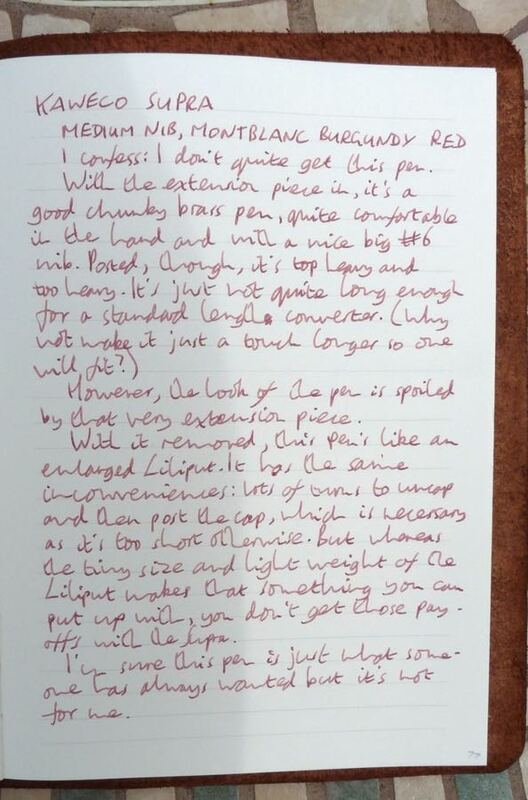 This pen was loaned to me for the purposes of this review by Kaweco, for which I thank them. I’ll be sending it back and I won’t be buying one for myself. I just don’t quite get it. 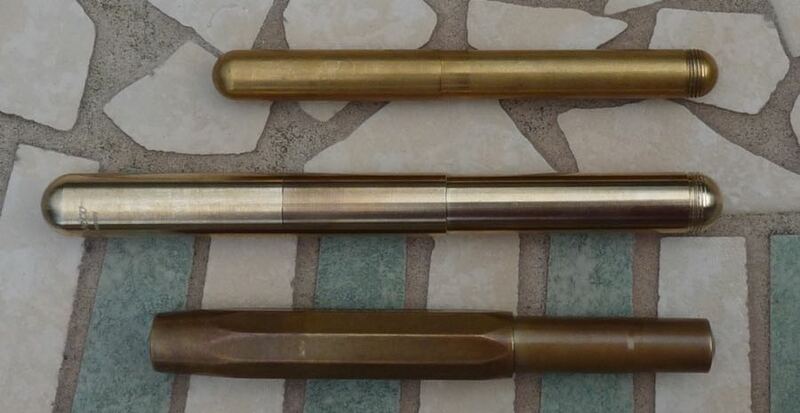 I don’t think the extension piece is a gimmick: Kaweco’s a small company and I think they make products that they like to use themselves. Someone at Kaweco loves this pen, I’m sure. But I don’t it compromises the pen too much. If it was produced in the short version it would be an inferior pocket pen to the Sport and Liliput. So you can buy this pen, take out the extension piece, and have a pen that’s not as good as one of those two and costs significantly more. If it was produced in the long version it would be a great pen. But as it is it’s spoiled by extension piece needing to be wider than the rest of the barrel. What’s more: the short version has to be posted to be comfortable, which makes it about the same length as the long version unposted (and the long version isn’t comfortable posted). So when it comes to writing comfortably, the two versions of the pen end up being the same size. The only useful difference between the two configurations is when the pens are capped. Perhaps appropriately for a pen with a split personality, I’m struggling to work out how I feel about the Supra. On the one hand I like that Kaweco made it; on the other hand, I don’t like the actual pen. I would like it in the full length configuration, with a one-piece barrel. But also, I must admit, it’s a part of my personality that I need things to be either one thing or another. The Supra can’t make up its mind, and nor can I. 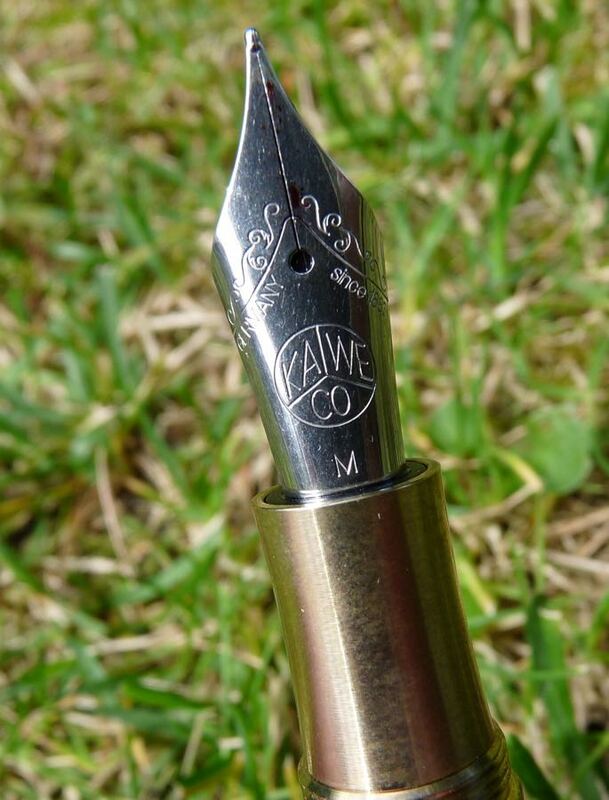 You can find some more reviews of the Kaweco Supra on Pennaquod.